Google announced at the end of 2015 that Android Pay would arrive Down Under in the coming year. Seven months later, that time has come. 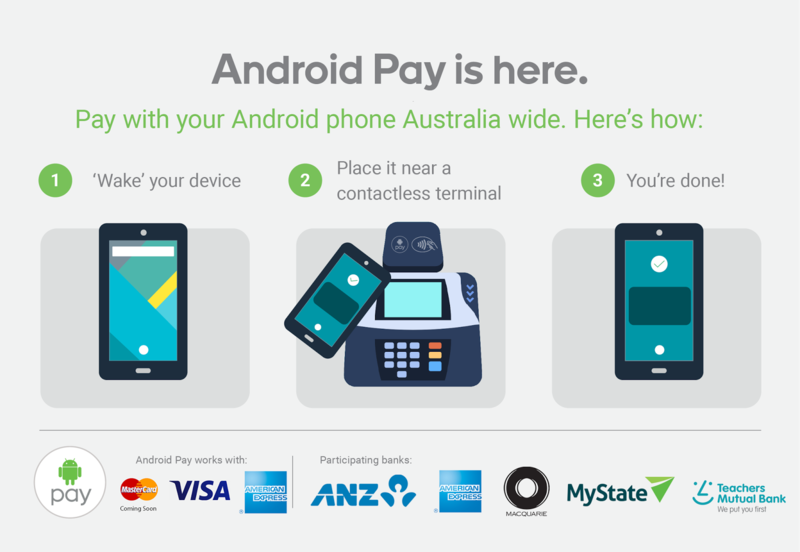 Residents of Australia can now use Google's latest mobile payments solution to buy stuff using their phones. At launch, Android Pay works with over 25 banks and credit unions in the country. These include ANZ, American Express, Macquarie, MyState Bank, and Teachers Mutual Bank. Bendigo Bank and ING Direct aren't supported yet, but they're scheduled to gain compatibility sometime soon. Android Pay will be accepted by many retailers, including 7-Eleven, Brumby's Bakery, Coles Supermarkets, Crust Gourmet Pizza, Domino's Pizza, Donut King, Gloria Jean's Coffees, McDonald's, and Telstra. You can also use it as a faster way to checkout within certain apps, such as Catch of the Day, Deliveroo, EatNow, Hotel Tonight, Kogan.com, Menulog, and others. 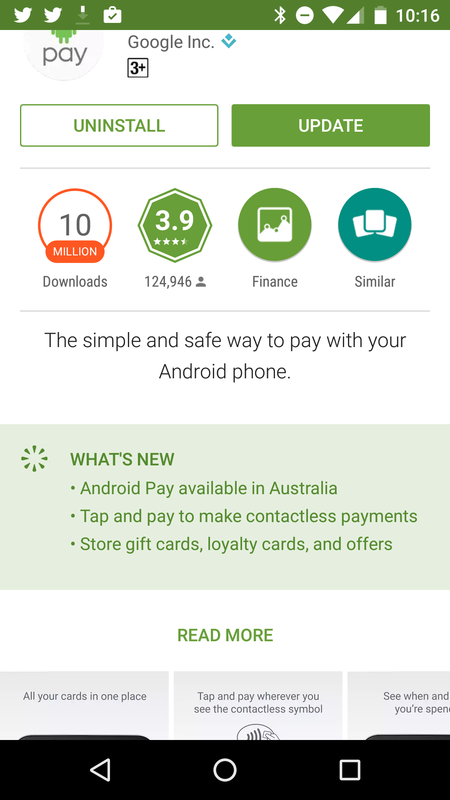 Android Pay comes to Australia a few weeks after the feature arrived in Singapore, the first country in Asia. Shortly before that, Android Pay launched in the UK. Nonetheless, Australia remains one of the first countries to gain support.